Condensation is inevitable in a property which is inadequately heated and ventilated we can help you with this. Condensation is simply the moisture caused by everyday living and occurs when warm moist air comes into contact with cooler air, or a cold surface i.e. external walls, which are at a lower temperature. It tends to affect older properties which have undergone renovations and is by far a very common problem during the winter months. When condensation is allowed to build up over a period of time in a property is when you start to see its effects, damage caused to paint work, soft furnishings, floors and ceilings along with the formation of mould growth, this in turn can make a property an unhealthy place to be. 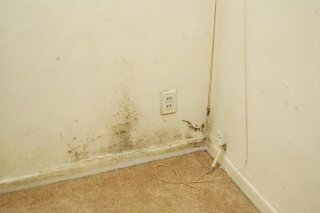 Don’t worry if you have condensation, there are plenty of things that can be done to reduce its effects. Things you can do yourselves, by following the information below you should relatively quickly see an improvement in the condensation being experienced within your home. keep your property well ventilated, if your windows have trickle vents keep them opened at all times, if not opening your windows after cooking and showering etc. to allow moist air to escape. Avoid drying clothes inside if possible, if using a tumble dryer ensure it is vented to the outside of your property. Keep soft furnishing and large items away from walls if possible to allow natural air movement, keeping curtains to the shortest possible length will also aid air movement. While cooking, ensure all vents and fans are on, or alternatively open the windows. Check to make sure airways within your property are not blocked, such as air bricks or chimneys. Keep your property at a constant warm temperature, especially in the winter. If all of the above advice fails to reduce the amount of condensation being experienced, please contact us here at Cotswold Treatments where we can arrange to visit your property to carry out an inspection, where we may be able to offer you alternative solutions to your condensation problems.